Please enjoy several high quality SOCKS4/5 proxy servers absolutely for FREE. Also do not forget that there are hundreds more awaiting for you! For more information please check available packages below. 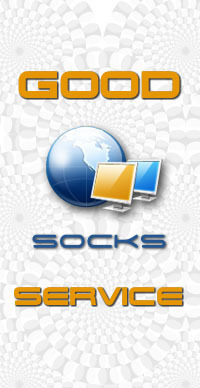 Direct dowload links for SOCKS4/5 servers are also available in 4 different file formats. We developed algorithm to share SOCKS4/5 fairly among our clients. All you need is to specify SOCKS4/5' IP and PORT in your browser. Access your SOCKS4/5 list at any time 24 hours, 7 days a week. Contact us via email, online chat or ICQ - 24 hours, 7 days per week. 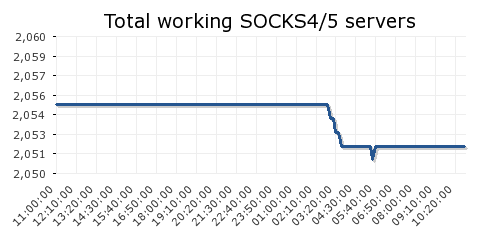 We do SOCKS4/5 servers' list update 24 hours per day, on non stop rule!